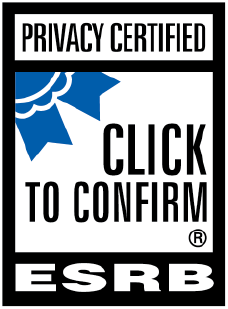 To view certification please go here. IDEO is responsible for the processing of personal information it receives, under each Privacy Shield Framework, and subsequent transfers to a third party acting as an agent on its behalf. IDEO complies with the Privacy Shield Principles for all onward transfers of personal information from the EU and Switzerland, including the onward transfer liability provisions. As IDEO is a US headquartered business, our Sites based in the USA will process your personal information. Sites powered by OI Engine will also receive technical support from our contractors based in Kazakhstan. IDEO maintains a data processing report under applicable law which sets out the location where your personal information may be processed, which is available on request where appropriate. With respect to personal information received or transferred pursuant to the Privacy Shield Frameworks, IDEO is subject to the regulatory enforcement powers of the U.S. Federal Trade Commission. In certain situations, we may be required to disclose personal information in response to lawful requests by public authorities, including to meet national security or law enforcement requirements. In general, IDEO will gather some technical information automatically. This information includes your Internet Protocol (“IP”) address (often associated with the portal through which you enter the Internet, like your Internet service provider (“ISP”), your company or your university), browser type, referring/exit pages, the files viewed on our Site (e.g., HTML pages, graphics, etc. ), operating system, date/time stamp, and/or clickstream data. IDEO gathers this information using third-party services such as Google Analytics and New Relic for the purpose of monitoring website performance and determining customer service and Site needs. Please visit the privacy policies of these third parties to learn about their privacy practices and your opt-out choices. NON-IDENTIFYING INFORMATION: Certain information that does not identify you (“Non-Identifying Information”) would only be considered a part of your Personal Information if it were combined with other identifiers (for example, combining your zip code with your street address) in a way that enables you to be identified. But the same pieces of information are considered Non-Identifying Information when they are taken alone or combined only with other Non-Identifying Information (for example, your country and gender). We may combine your Personal Information with Non-Identifying Information and aggregate it with information collected from other Users of the Sites to attempt to provide you with a better experience, to improve the quality and value of the Sites, and to analyze and understand how the Sites are used. We may also use the combined information without aggregating it to serve you specifically, for instance to deliver a product or service to you according to your preferences or restrictions, or to send you User surveys or requests for feedback. We may collect any Personal Information you provide through such surveys or calls for feedback. Analytical/performance cookies: They allow us to recognize and count the number of visitors and to see how visitors move around our Sites when they are using them. This helps us to improve the way our Sites work, for example, by ensuring that Users are finding what they are looking for easily. Functionality cookies: These are used to recognize you when you return to our Sites. This enables us to personalize our content for you, greet you by name and remember your preferences (for example, your choice of language or region). Most browsers are initially set up to accept cookies, but you can reset your browser to refuse all cookies or to indicate when a cookie is being sent. If you choose to disable cookies, it may limit your use of certain features or functions on our Sites or services. If you wish to restrict or block the cookies which are set by any website, including these Sites, you should do this through each individual browser setting and on each device you use to access the Internet. You can allow cookies from specific websites by making them “trusted websites” in your Internet browser. For more information on how to do this, and how to change your browser settings, you may visit: www.allaboutcookies.org. LOG DATA: When you visit the Sites, whether through an account or as a non-registered User browsing, we automatically track certain information that your browser sends whenever you visit our Sites. We use this information to do internal research on our User’s demographics, interests, and behavior to better understand and protect you and our community. This information may include the URL that you just came from, which URL you go to next, access times and dates, your computer browser information, your IP address, and other statistics (“Log Data”). We use Log Data to monitor and analyze the use of the services on the Sites and for the Sites’ technical administration, to increase our Sites’ functionality and User-friendliness, and to better tailor the Sites to our Users’ needs. For example, some of the information is collected so that when you visit the Sites again, we will recognize you and provide you with information appropriate to your interests. We also use the information to verify that the visitors to our Sites met the criteria to process their requests. DO-NOT-TRACK: Currently, our systems do not recognize browser “do-not-track” requests. You may, however, disable certain tracking as discussed in this section (e.g., by disabling cookies); you also may opt-out of Internet-based advertising by following the instructions above in this Cookies section. REGARDING CHILDREN AND MINORS: We do not knowingly collect Personal Information from Users under the age of 13 (“Child” or “Children”). If IDEO learns that a Child’s Personal Information has been collected, we will delete the account. If parents or guardians believe that we have unintentionally collected their Child’s Personal Information, they should contact us to request the deletion of the information at one of the below emails. LEGAL REQUESTS: IDEO cooperates with law enforcement inquiries, as well as other third-parties to enforce laws and intellectual property rights. Therefore, in response to a verified request by law enforcement, an applicable regulator, or other government officials relating to a criminal investigation or alleged illegal activity, we can disclose your name, city, state, telephone number, and email address. Without limiting the above, in an effort to respect your privacy, we will not otherwise disclose your Personal Information to law enforcement or other government officials without a subpoena, court order or substantially similar legal procedure, except when we believe in good faith that the disclosure of information is necessary to prevent imminent physical harm or financial loss; report suspected illegal activity; or in response to a regulator’s request for information regarding compliance with applicable law. Depending on the IDEO Site you are using, or where you contact us, your information is stored on the servers of our service providers, including Rackspace, Amazon Web Services, and Heroku. Please note that information we collect from you may be stored and processed in the United States or any other country in which we or our service providers maintain facilities. We or our service providers may transfer information that we collect about you, including Personal Information across borders and from your country or jurisdiction to other countries or jurisdictions around the world. We encourage you to review Heroku, Amazon Web Services, and Rackspace’s terms of service agreements and privacy policies before providing information to them. IDEO acknowledges that you have the right to access your Personal Information. Pursuant to California’s Digital Online Eraser Law (California Senate Bill 568), Users under the age of 18 (“Minors”), and pursuant to GDPR, all EU Users, have the right to remove, or request the removal of, content or information they have posted publicly on the Site. Please be advised that any information you post to a bulletin board, message board, chat room, community, or other forum is publicly viewable. We strongly recommend that all Users avoid posting personal or sensitive information at any time. Upon request IDEO will provide you with information about whether we hold any of your Personal Information. You may access, correct, or request deletion of your Personal Information by contacting us at privacynotice@ideo.com. We will respond to your request within a reasonable timeframe in accordance with applicable law. IDEO collects some information under the direction of its Clients, and may not have a direct relationship with the individuals whose Personal Information it processes. If you were invited to one of our IDEO platforms directly by an IDEO Client and would no longer like to be contacted by our Client that uses our service, please contact the Client that you interact with directly. Likewise, if you were invited to one of our IDEO platforms by an IDEO Client and you would like to access, or seek to correct, amend, or delete inaccurate data, you should direct your query to the Client (the data controller) in the first instance, unless the data relates to information IDEO holds in its capacity as a Site owner (and therefore a data processor). This will not affect your legal rights. If requested to remove data we will respond within a reasonable timeframe and in accordance with applicable law. IDEO will retain this personal information as necessary to comply with our legal obligations, resolve disputes, and enforce our agreements. To ask if you would be interested in connecting with other like-minded individuals on creative initiatives within the IDEO Network. *Please note if you registered for our products before April 2018 this process may not apply to you. On March 27th, 2018, IDEO began a process of consolidating access to some of its Sites under one global secure login account process, which will give Users access to a network of IDEO services, and for those Users who participate individually or under a Client contract to more than one IDEO Site, one convenient login for the IDEO Network (an “IDEO Network Account”). If the service you want to access has been consolidated under this process you will see a general IDEO registration page when you register or login. If the Site you are accessing has not yet been integrated into the IDEO Network Account process, you will be directed straight to that individual Site. Account Creation & Profile: To register for an IDEO Network Account, you must provide your email address, first name, last name, and you will be asked to choose a secure password. As part of this process, you will be given an “IDEO Network Profile”. If you register for an IDEO Network Account using Facebook or Google the following information, if it has been made publicly available by you, will be stored on our servers as your login information: Facebook or Google ID, first and last name, email address, country, profile photo, geo-location, gender and date of birth. Additionally, your Facebook, or Google Profile Picture becomes part of your login Information but is not stored by us. Your use of information by Facebook or Google in this context will be set out more fully in their privacy policies and in accordance with the settings you choose using their sites. Deletion of Your IDEO Network Account: If you wish to delete your Personal Information from the IDEO Network, please contact privacynotice@ideo.com. In addition to your IDEO Network Account, Users of OpenIDEO will have an OpenIDEO profile which can be viewed in the “My Profile” section of the Site. Once you register (either for the individual Site using the directions on the site, or via your IDEO Network Account), create My Profile, or submit a Contribution you are not anonymous to us (and may be visible to other Users depending on the activity). As only Users can submit a Contribution on the Site, if you choose to submit a Contribution prior to registering to the Site, we will require you to first (i) register with your Login Information thus creating My Profile and, if applicable, (ii) agree to any Challenge Rules or if applicable, any Alliance guidelines. Please note that if you register for OpenIDEO using Facebook, or Google the following information, if it has been made publicly available by you, will be stored on our servers as your login information: Facebook or Google ID, first and last name, email address, country, profile photo, locale, gender and date of birth. Additionally, your Facebook, or Google Profile Picture becomes part of your login Information but is not stored by us. Your use of information by Facebook or Google in this context will be set out more fully in their privacy policies and in accordance with the settings you choose using their sites. It is each User’s decision as to whether they add Personal Information to their My Profile section or upload a photograph/image of themselves and opt to make these visible to other Users as part of My Profile. The image/photo/picture, first and last name, gender and date of birth from Facebook or Google (if used) can be deleted at each User’s discretion. Your Facebook or Google ID is not visible in My Profile but can appear in your My Profile URL. My Profile will include your Design Quotient. Your “Design Quotient” (or “DQ”) is a profile of you that we derive based on your Contributions, other Users’ feedback on your Contributions, and your “Applauding” of other User Contributions (as defined in the OpenIDEO Terms of Service) of other Users’ Contributions. Your DQ is published on the Site, accessible on each page of the Site, and visible to other Users unless you choose to make it private (an option available in My Profile). “Chapters” are groups of individuals who choose to arrange themselves geographically to solve challenges, work more deeply on areas within a challenge, or just meet for community purposes. Chapter organizers are volunteers selected by IDEO to run certain Chapters. If you RSVP for an event organized by a Chapter through the Site, your name and photo will be added to the event registrants list unless you choose to show as an anonymous attendee in My Profile. (Event creators and Organizers will still have access to your name and email unless you choose not to attend an Event. Event creators and Organizers are prohibited from use of Personal Information for anything other than their Chapter head duties related to the event). IDEO and Riverdale Country School (“Riverdale”) own and operate www.teachersguild.org (“The Teachers Guild”). In addition to your IDEO Network Account (if you registered through the IDEO Network Account process), Users of The Teachers Guild will have a Teacher’s Guild profile which can be viewed in the “My Profile” section of the Site. Your Login Information is held within My Profile. If you register on the Teachers Guild using ‘Facebook Connect’ or ‘Google Connect’ then the following information, if it has been made publicly available by you, will be stored on our servers as your Login Information: – Facebook or Google ID, first and last name, email address, country, locale, gender and date of birth. Additionally, your Facebook or Google Profile Picture becomes part of your Login Information but is not stored by us. Your Facebook or Google ID will be your Username for the Teachers Guild. It is each User’s decision as to whether they add personal information to My Profile or upload a photograph/image of themselves and opt to make these visible to other Users as part of My Profile. The image/photo/picture, first and last name, gender and date of birth from Facebook or Google (if used) can be deleted at each User’s discretion. My Profile will include your Design Quotient. Your “Design Quotient” (or “DQ”) is a profile of you that we derive based on your Contributions, other Users’ feedback on your Contributions, and your Applause of other Users Contributions. Your DQ is published on the Site, accessible on each page of the Site, and visible to other Users unless you choose to make it private (an option available in My Profile). If you wish to contribute or participate in the Site, you must (a) register with the Teacher’s Guild, and (b) become an Entrant by agreeing to the Collaboration Rules. All Contributions will be viewable by other Users of the Site. You always have the option to not provide information by choosing not to register or submit a Contribution or Applause. Where Analytic Quotient Information is disclosed to or accessed by any third party (except IDEO, Riverdale, and Riverdale subcontractors including third party providers of tools who may have access), any Personally Information will be anonymized and aggregated. Account Creation: If you login to the Purpose Project using Google OAuth, the following information from Google, if it has been made publicly available by you on Google, will be stored on our servers – ID, first and last names, email address, country, locale, and gender (“Purpose Project Login Information”). Additionally, your Google profile picture becomes part of your Purpose Project Login Information. Your Google ID will be your Username for the Site. Deleting your Account: If you wish to delete your Purpose Project account, you may do so by contacting us at privacy@thepurposeproject.org or at privacynotice@ideo.com and providing us with your Username. to understand what devices and operating systems the App is used on. When you decide to join an IDEO U learning course, you will be asked to register for an account. Our IDEO U Site is administered and managed by our service provider, NovoEd. As part of the Course Registration process, you will be asked to provide us with your email address, payment information (including your billing address) and, optionally, your phone number. Course payments are processed via a third-party payment processor of your choice: PayPal or Shopify. We encourage you to review Paypal and Shopify’s privacy policies. Course Providers: We may share Personal Information, Non-Identifying Information and Log Data with instructors who provide the courses on the IDEO U Site ("Course Providers"). They use this information mainly to provide, administer and improve courses and the services, to respond to your inquiries, and to analyze and conduct research on the services. Your Employer: If you are participating in IDEO U as part of an employer-sponsored program, at the request of your employer and as part of our agreement with them, we may provide your employer information about your activities and performance in connection with IDEO U, including contributions and performance information with respect to particular IDEO U courses or services (for Creative Difference your employer will have access to the email address associated with your User account information, but not your password or other Personal Information related to your User account such as your non-public contributions on the course). IDEO shall not be responsible or liable for the use of such information by your employer, and such use shall be subject to your employer's policies (including privacy policies) applicable to you. Creative Difference is IDEO’s creativity assessment tool. The login and registration processes for your IDEO Network Account in order to gain access to Creative Difference, along with our use of your Personal Information, are as stated above in the Section on your IDEO Network Account, unless you/your organisation registered for Creative Difference prior to implementation of our IDEO Network Accounts.